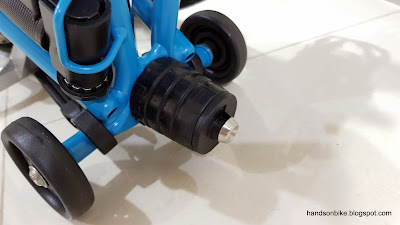 After upgrading the hinge clamps to the better looking and more well designed Imperium Cycle hinge clamps, and also upgrading the Eazy wheels, the next upgrade for the Brompton M6R would be the suspension. 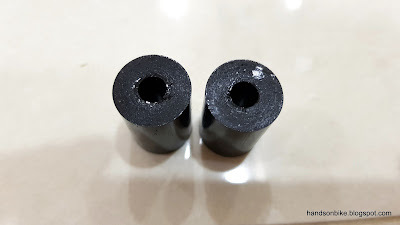 The stock suspension comes in two different hardness, the Standard type and the Firm type for those who are heavier or just want a more responsive ride. I opted for the Firm type, but I still felt that it was a bit soft, especially during hard pedaling when the bike will bob with every pedal stroke. 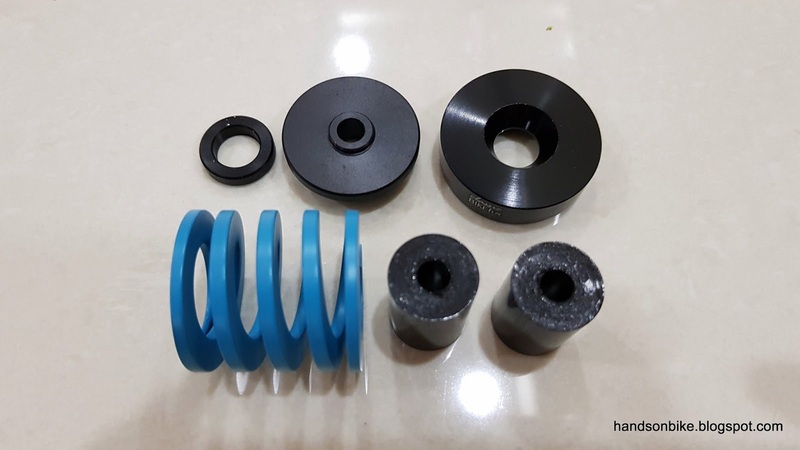 There are many aftermarket suspension blocks available for the Brompton, in different designs and many different colours. For me, the criteria is to get a suspension block that is more firm, and also in a colour that matches the Lagoon Blue frame colour. Original Brompton Firm suspension block, which is basically just a rubber block for dampening the road vibrations. Picture taken before upgrading the Eazy wheels. 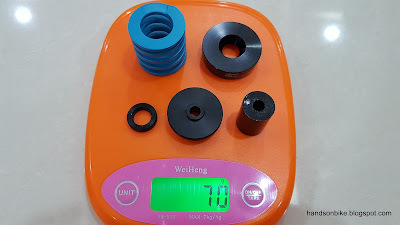 I came across the BikeFun suspension block, which has a rather nice looking external coil and comes in many colours to perfectly match all the available Brompton colours. Of course, I will need the Lagoon Blue suspension to match with my bike frame. 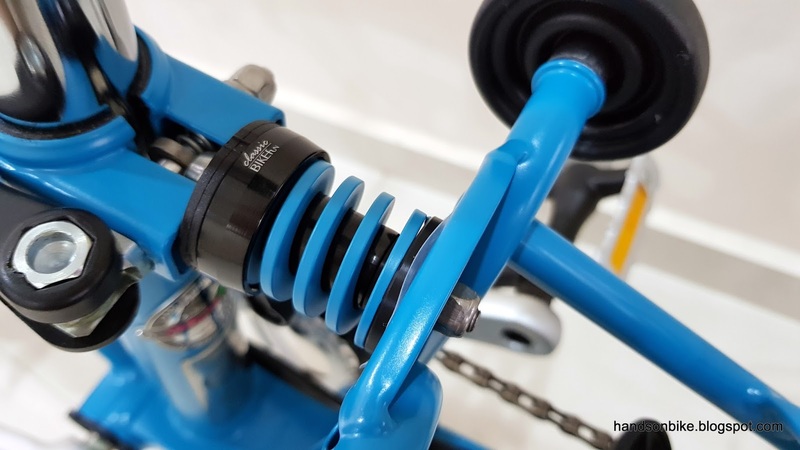 BikeFun suspension unit, with matching Lagoon Blue spring coil. It comes with two rubber blocks of different hardness. The one with the white dot is the firmer block, which is what I will use. 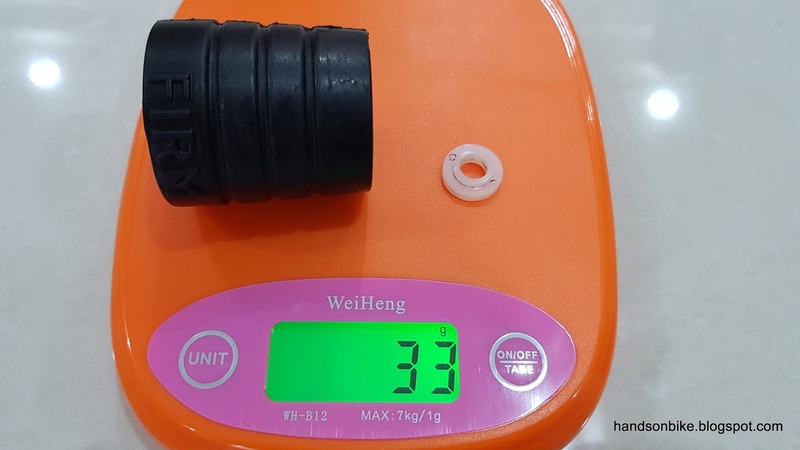 BikeFun suspension unit weighs 70 grams, mainly due to the heavier steel spring coil. Installation was quite easy, just need to follow the instructions to see which part goes where. For this Brompton, lightweight components are not necessary as no matter how many components I upgrade, the heavy steel frame will prevent any meaningful overall lightweight bike. Blue suspension installed on the bike! The colour matches perfectly with the frame. The suspension looks like it came stock with the bike. And it actually should, instead of just a rubber block. With the new suspension, the ride feels more rigid and much more responsive. I can feel just a little bit of suspension, but not so much that it causes the bike to bob during pedaling. Some time ago, I had the Flamingo bike which is a replica of the Brompton, and it really bobbed quite a lot during pedaling, which makes it inefficient for faster rides. 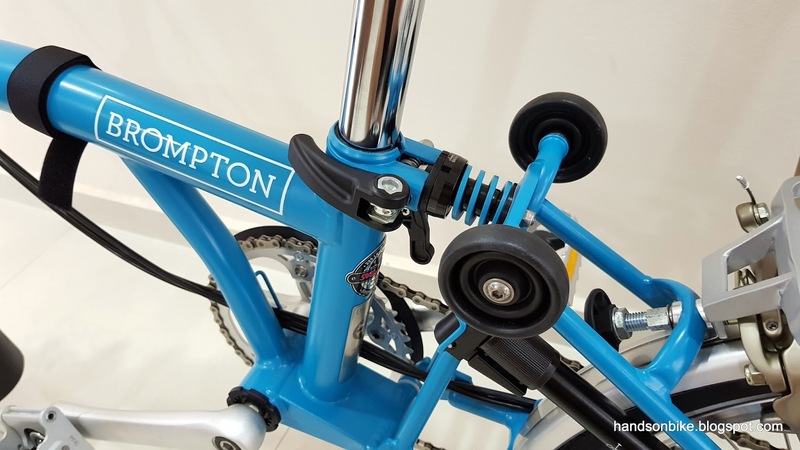 Best of all, it looks good and matches perfectly with the Lagoon Blue colour of the Brompton frame!